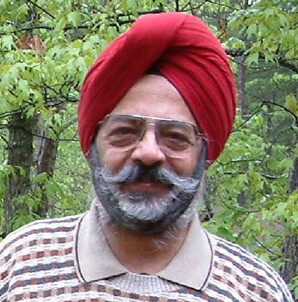 Paramjit Singh has been a Community Leader of the Asian Indian Community since he landed in Cleveland in June of 1962. Being a Sikh, he has dedicated his life to serving the needy. Paramjit Singh completed his Mechanical Engineering from the Indian Institute of Technology (I.I.T.) Kharagpur, India, in 1958 and joined the MBA program at Case Western Reserve University in September 1962. He got involved with the International Student Group and shortly thereafter became its Chairman. This gave Paramjit the opportunity to meet students from all over the world and make him a citizen of this world. Being from India gave Paramjit the opportunity to share with his international friends and Clevelanders, the Indian culture, entertainment, food and religions, especially Sikhism (the fifth largest religion in the world). The Cleveland Council of World Affairs asked Paramjit Singh to organize the first Indian dinner to celebrate the 13th Republic Day of India with students and members of the Council. In 1964, he got involved with other members of the Indian community to establish the India Association of Cleveland. Paramjit Singh made history in Cleveland by being the first turbaned Sikh to be a part of Case Western Reserve University graduation ceremony (proudly wearing his turban, rather than the traditional mortarboard) in 1965. With the change in the immigration laws and the growth of the Indian community in Cleveland and all over the United States, the National Federation of Indian-American Association (NFIA) was formed in 1980 and that resulted in the creation of the Federation of India Community Associations of NE Ohio (FICA) in 1981, which is a member of NFIA. Paramjit and his wife Linda came up with the idea that Indian-Americans should start giving back to this country for all the opportunities it has provided. They shared their thoughts with FICA and Project SEVA was created with Ohio State Senator Michael White and Reverend Earl Preston Jr., Pastor of Morning Star Baptist Church. Project SEVA prepared and served a Thanksgiving Dinner to 400 people at the church. The joy that they experienced led Paramjit to share it with the Executive Board of NFIA and Project SEVA was adopted as national project by NFIA. Paramjit Singh has and continues to provide his personal and professional time as a volunteer to add value in the Indian and Ohio community. He has served as President of FICA, Vice President NFIA, President of American Society of Engineers of Indian Origin, Cleveland Chapter, Founding member of Asian-Indian-American Business Group, Asian-Indian-American for Better Government, Executive member of Cleveland Mayor George Voinovich’s Asian Advisory Council, and more.